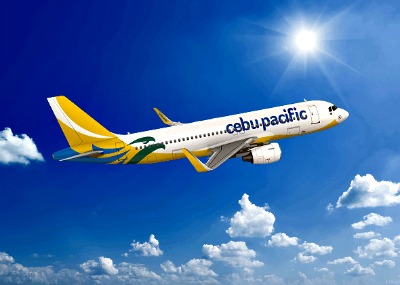 The Philippines' leading carrier, Cebu Pacific, signed a forward sale agreement with a subsidiary of Allegiant Travel Company, covering Cebu Pacific's sale of four Airbus A319 aircraft. CEB currently operates one of the youngest fleets in the world, with an average age of 4.82 years. Its 57-strong fleet is comprised of 7 Airbus A319, 36 Airbus A320, 6 Airbus A330, and 8 ATR 72-500 aircraft. As part of its conservative fleet renewal program, CEB will be taking delivery of 30 brand-new Airbus A321neo aircraft, the largest model in the A320neo series. The A321neo incorporates new engines and wing-tip devices called Sharklets, which could deliver fuel savings of 20 percent and additional payload or range capability. The aircraft has a flying radius of over 6 hours and can be configured to have up to 240 seats, allowing CEB to access new markets in the Indian subcontinent and Australia. CEB also ordered 16 ATR 72-600 turboprop aircraft, to meet increasing demand in the Philippines for inter-island services. The ATR planes enjoy a high reputation not only for versatility but also for their ability to operate on short runways. These planes will enable CEB to expand its operations on several smaller airports in its home country, and to contribute to the development of regional transport, trade, and tourism.